The work principle of the picking device of a novel chili pepper harvester is described. A spring tooth is designed and strength check is analyzed. 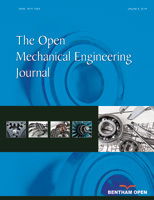 The stress distribution of a spring tooth is investigated by FEM simulation. The trajectory equation of spring tooth is established to determine the optimal rotate speed and translational speed of the picking roller. Finally, the optimal height of the passive roller is determined by the characteristic parameters of chili pepper plant. Using these optimization parameters, the prototype of the chili pepper harvester is developed and the picking experiment is investigated. The picking rate is 99.15%, the total loss rate is 5.15%, and the damaged rate is 3.22%. These main optimization parameters have been reached the design requirement. These analysis provides technical support for optimized design of the chili pepper harvester and help accelerate the improvement, design and development of the chili pepper harvester.